KISSIMMEE, Fla., June 17, 10:30 a.m. – Continued heat and high humidity in Central Florida this week have resulted in near-record demand for electricity by the customers of Kissimmee Utility Authority (KUA). At 4:48 p.m. on Thursday the utility’s system peak reached 297.8 megawatts, just shy of the all-time record of 298.7 megawatts set on July 6, 2004. 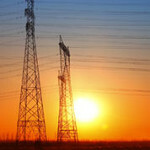 Customers typically use more power during periods of hot weather and higher than normal electric bills can be expected. Even with the increased demand, KUA has sufficient energy and capacity to continue providing safe and reliable electric service to its customers without interruption. * Set the thermostat on the highest comfortable setting. Raising the temperature just two degrees can reduce cooling costs by as much as five percent. * Close blinds, shades or drapes during the hottest part of the day to block the sun’s heat. * Remember that window air conditioning units generally are not designed to cool more than one room. * Clean or replace window unit or central air conditioning system filters monthly. Dirty filters cause air conditioners to work harder and use more energy. Founded in 1901, KUA (www.kua.com) is Florida’s sixth largest community-owned utility providing electric, water and telecommunication services to 170,000 residents in five Central Florida counties.